We often think of a strong market as one in which many stocks are making new highs. Interestingly, a better indication of market strength has been the absence of weakness: few stocks making new lows. One way I track this is the daily number of listed stocks making fresh one-month new highs and lows. (Data from the Barchart site). When the number of shares making monthly lows is in its lowest quartile since 2012, the next five days in SPY have averaged a gain of +.32%. When the number of shares making monthly lows has been in its highest quartile, the next five days in SPY have averaged a gain of +.53%. All other occasions have averaged a gain of only +.02%. The absence of new lows occurs when we've had a momentum rise that has lifted the great majority of stocks. That has been the case recently. That momentum tends to continue over the near term. Conversely, when we make an important low, we see an expansion of fresh lows. That tends to bring in value participants and strength over the near term. Much of market strength can be traced to such momentum and value effects. It's but another example of how looking at different data in a different way can yield helpful trading insights. Markets are ready to turn around when one or more sectors show weakness and we start to see an expansion of new lows, even as the index might be hovering near highs. 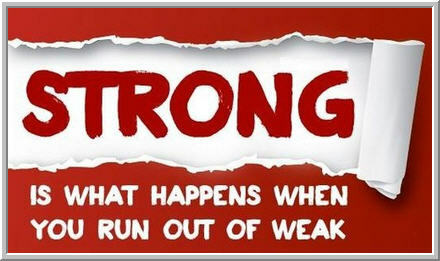 When there is very little weakness, we have an important clue as to strength.